Last week I was in one of your store car parks and my other half said “what is that red flower over there?” pointing to something in the hazy distance. Even without my specs on I knew what it was “I think it is an escallonia and I don’t like it very much”. He replied “You don’t like anything to do with supermarkets”. 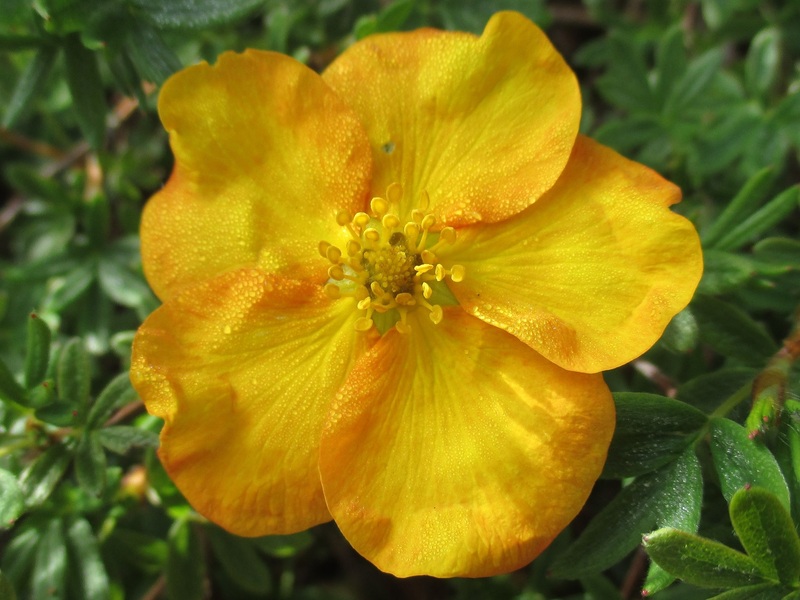 Yesterday leaving another supermarket (I am a glutton for punishment) I noticed two potentilla shrubs, standing alone in a large bed, the only survivors of monstrous neglect. I love potentillas, but when I looked at these sad specimens I felt nothing but disdain. Then I realised it was not the poor plants that I disliked just the horrendous design/planting/maintenance. Why do you bother spending all that money on landscaping for the plants to wither and die? It is almost as if they have a death sentence on their heads as soon as they have been planted. Either death or a life of tedious dullness for eternity. Surely you can afford to employ someone who knows what they are doing to tend these outside areas? There are plenty of us about. It would only take a few hours a week, spend a few quid and you would be paid back in goodwill tenfold. Let us go crazy now, let us hoppity hop to the next level. With a little bit of imagination you could actually make a feature of these beds and borders. Something colourful, inspiring, even edible. Make people want to come to your shop because just walking through the car park is a joyous experience. You sell cheap plants, you sell cheap compost, there seems to have been an enormous slip between cup and lip. Really it isn’t rocket science. Lets face it, you are not on first name terms with the Green Gang, not known for your conservation and nature loving ways. So why don’t you make a stand, be the first of your kind, lead the way with environmental oneupmanship and get those marketing people on the job. Just an idea ….. Does anyone in management actually think it is a good look? I would be shame faced if it was my business. Oh that awful mulch! And of course it’s usually shredded-up trash lumber that’s been dyed with who-knows-what chemical…. Hear, hear. And hospital grounds as well, all the shrubs shaved off level at the same time with no regard as to when they flower or put on growth, it makes me wail to see that all the flower-bearing stems have been removed BEFORE flowering time. Do those contractors have any gardening knowledge? The hospital has even more reason to have good grounds! Hopefully they will catch on a some point in the near future.